The first Trainspotting film was one of those films that seemed to capture a generation and it takes me back to summer days listening to the excellent soundtrack. 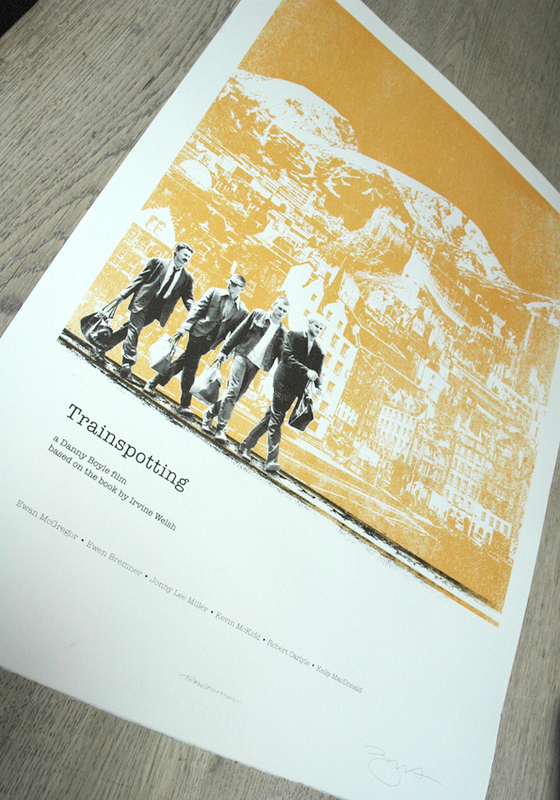 I was asked by The Red Door Gallery in Edinburgh to come up with a Trainspotting print to coincide with the sequel which I thought was pretty good too. This two colour hand pulled screen print measures 50cm x 70cm 19.6″ x 27.5″ (approx) and is printed on 250gsm art stock. Each print is signed & numbered and is strictly limited to an edition of 250 so once they’re gone they’re gone.